Globular body (flask?). Three small, pinched projections oriented horizontal at 0.012 m interval(s). Light green to colorless (PMS 372 C). Transparent. Scattered pinprick and few small, spherical bubbles. 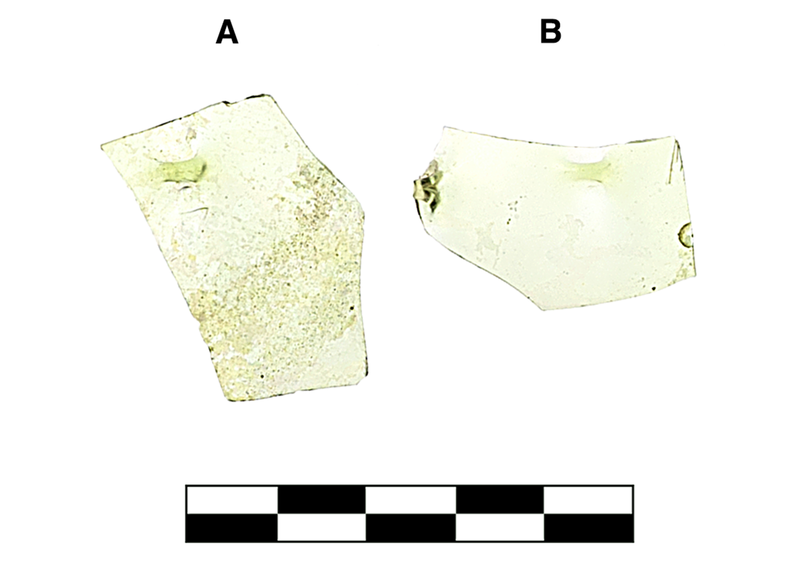 Two nonjoining body sherds in same material on same scale preserve <25% of belly. Very slight, sparse iridescence on interior; slight feather cracking around broken edge.